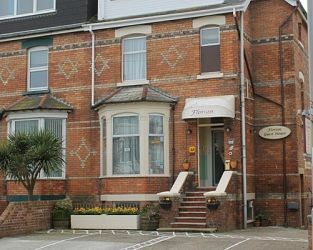 The 4 star Florian Guest House is situated within walking distance to Weymouth town centre and the beach. With Free parking it's ideal for exploring the area by foot or bus and leaving the car behind. We offer six rooms with en-suite or private facilities for B&B or Room only. Free Wifi available throughout. Discounts available for direct bookings from Florian's website or by telephone. 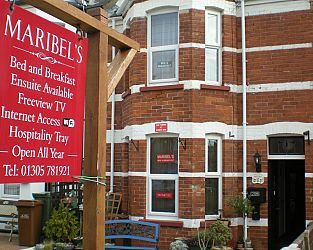 Maribel's Bed and Breakfast is a small family accommodation with a homely atmosphere. Visit Weymouth Dorset and the surrounding villages and stay in b and b, hotel or vacation rental accommodation provided by BedPosts members. The coastal town of Weymouth in Dorset lies on the River Wey 8 miles from Dorchester and 5 from Portland. With 53,000 inhabitants it is Dorset's third most sizeable conurbation. Weymouth's economy is dependant on tourism for the harbour, Jurassic Coast, World Heritage Site and its sailing activities. Weymouth's history goes back about 900 years. Whilst fishing and trading used to be the means by which people earned their livelihoods these have now been surpassed by tourism generated by its position on the Jurassic coast, harbour sailing and visitor attractions. If you seek accommodation near Weymouth in Dorset you have come to the website of a “club” of providers who offer affordable quality accommodation around UK in hotels, bed and breakfasts, guesthouses, inns, and restaurants plus self-catering cottages and apartments .